Note from Darlene: I’ve been busy so I wrangled Paul into eating this burger and writing a post for me. If there’s one lesson to be learned, lunch is never free with me. Not in a “Happy Halloween” way, but in an opposite of “yay!” way. 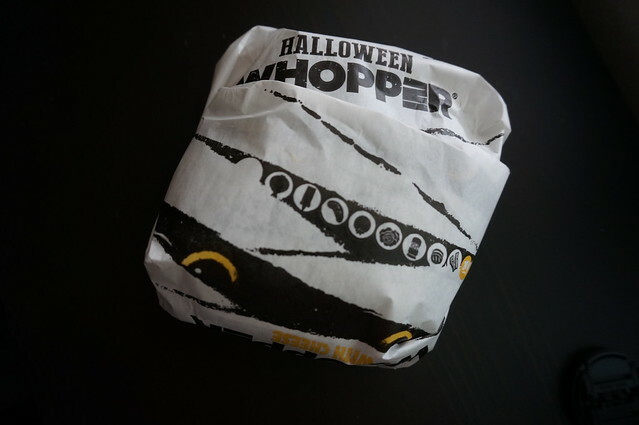 Burger King unveiled its HA1loween Whopper locally this week, and for those keep tabs on international fast food offerings, it seems to be a far cry from its Japanese model from 2014. Here’s my breakdown from the American version vs. its overseas counterpart. The final deviation was the slice of American cheese. It was the standard yellow-orange you’ve always had, opposed to the Japanese version’s black cheese. Perhaps American focus groups just couldn’t handle that. 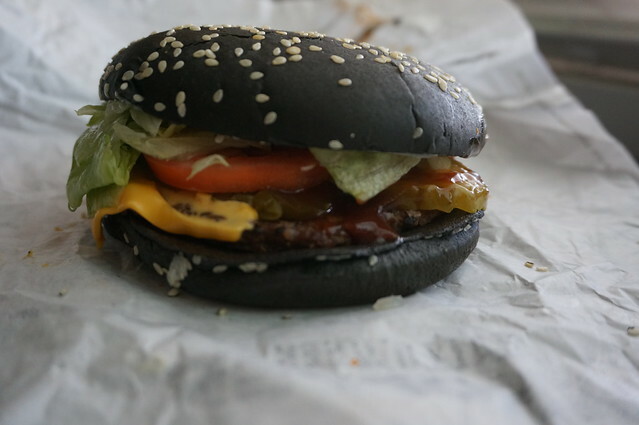 I think seeing the words “squid ink” on a Burger King menu in Oklahoma or Indiana would incite panic, mass confusion and rioting. All in all, the burger tasted the same as any other Whopper, but for the A-1/ketchup swap. This is a good thing; I’m not sure if a radical departure in flavor would be a good idea for those curious in trying this novelty. The price was $4.99, which is the going rate as a regular Whopper a la carte or $7.39 for the combo meal. 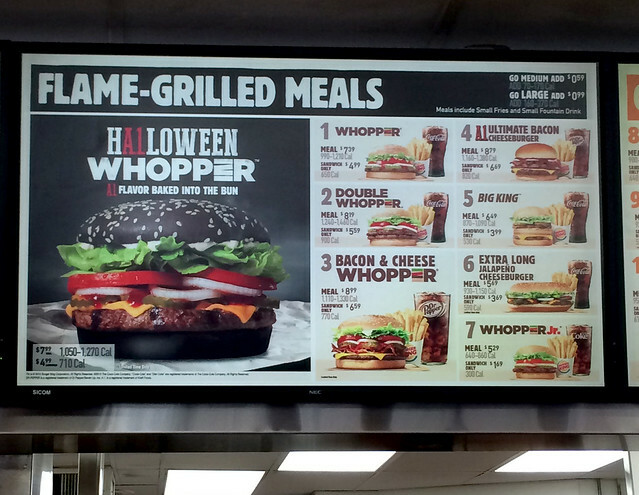 Since it’s for Halloween, I would imagine this is one of those “only for a limited time at select Burger King locations” sort of deals, so if you need to get one, act sooner rather than later. I’ve read that the Japanese version used something natural to make it a different color (maybe seaweed? 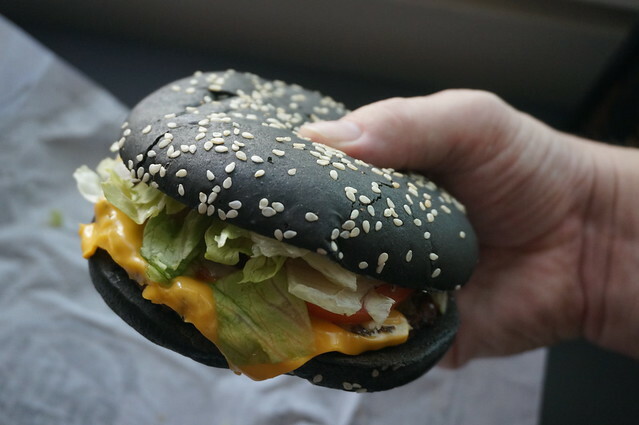 and the Japanese version had “black” cheese as well), but in the US, of course, they used food coloring. 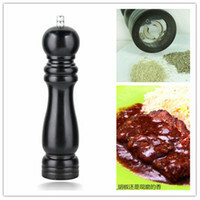 Which has interesting effects on “throughput”, as I learned from Eater.com’s suggestion of Googling “black hamburger bun”. I’m not a Burger King fan (unless it’s breakfast and you mention French Toast sticks) and this definitely doesn’t lure me in. Yes, we can confirm that the aftermath is quite, ummm, dramatic.